I do a some video stuff and have multiple YouTube accounts (and tons of accounts for other video sharing web sites). I even have one just for the content related to this blog and web site, my YouTube account SACReleases here.?? Because of my activities in that area I am getting from time to time personal emails from people who want to use a video offline for something and ask me if I would send it to them. I kind of got tired of explaining the same stuff over and over again and decided to write a blog post about the subject instead.?? Videos on YouTube and other video sharing sites can be downloaded in most cases without the need for jumping?? through too many hoops. There are exceptions, but I will address those as well. Getting the video down to your hard disk is usually the least of the problem. In most cases do you already have the video on your hard disk, you just don’t know it and also not where you can find it. Your web browser was probably caching the video and saved it in its temporary folder for some time, which depends on your individual browser settings. However, getting to this cached video is a bit cumbersome, but?? I will explain it as the last option anyway. This option does not cost any money and no software installation is needed. With some experience is this method also the faster one, compared to others that are also free and do not require the installation of any software. The option has another catch and that is the problem that the downloaded video is probably in Adobe’s Flash Video format, which is great for viewing on the web, but isn’t much usable anywhere else. Chances are that any editing software that you might own or downloaded (there is plenty of free stuff available too) does not support the FLV Flash video format. That means that you need to convert the video to a more practical, which is not possible without some special (and usually commercial) tools. Some folks asked me for the video that they can embed it into a Microsoft Power Point presentation. Flash Videos cannot be used in Power Point. I just wanted to mention that. This option is probably the best one for the occasional video downloader, like the one who wants to use a video in a Power Point presentation or something like that. The good thing is that this option does not require any downloads and installation of software on your computer. It is also free, which is always nice. There are plenty of web sites out there that let you download and convert a video, by simply providing a link to the video at the video sharing web site. The conversion on the services end and the download that follows might take a bit of time, some services also have limits for the length of the video they download. Also, the service must explicitly support a specific video sharing web site. Pretty much all of them support YouTube, but beyond that, things do not look as good anymore. Here a few of those online downloader’s to choose from.?? Press “Start” (the default format to save the video should be .avi). It may take a while to do the download and conversion. Vixy.net also offers now a desktop video downloader for Windows PC and MAC OS users available for download on their web site. YouConvertIt.com is an online tool with many features beyond the simple downloading of videos from video sharing web sites like YouTube. It is able to convert hundreds of different?? video, audio, image, document and archive formats to make it a useful tool whenever you need to be able to convert a file that you receive from somebody else in a format that you cannot handle to something that you can work with. You can upload files from your hard disk to YouConvertIt.com for conversion. If the conversion takes a little bit longer, no problem, because you do not have to stick around until it is done. Simply provide your email address and YouConvertIt will send you an email notification with download LINK to receive the converted file once it is done. The video downloader is as simple as it can be. You just copy and paste the URL to the video on YouTube or any other popular video sharing site and YouConvertIt will extract the video file for you and if you like to, also converts it into one of the many available video formats that might better suit your needs. Also here, you have the option to provide your email address to receive a notification when the downloaded and converted video file is ready for you to download. Here is a list of the supported file formats, to give you a better idea about the versatility of this free online tool. Image formats: bmp , gif , ico , jpg , pcx , png , tga , tiff , wbmp , wmf;?? Doc formats: csv , doc , docx , html , odp , ods , odt , pcx , pdf , ppt , pptx , ps , pub , rtf , txt , wpd , wps , xls , xlsx , xml;?? Music formats: aac , ac3 , flac , m4a , mmf , mp3 , ogg , ra , ram , wav , wma;?? Video formats: 3gp , 3g2 , avi , flv , gvi , iphone , ipod , m4v , mov , mp4 , mpg , ogg , rm , rmvb , vob , wmv;?? Offers file storage and sharing service (not free), starting at $7 per month for 5 GB. Paid accounts also increase the number of possible concurrent conversions and the maximum file size. Online file converter/downloader/file hosting with advanced settings, such as resizing, or splitting into smaller pieces for video files. Available in almost 20 languages. Supports even more formats than Zamzar. Some good info’s about which cell phones support which formats. Conversion of files on your hard drive or on the web, requiring the URL of the source document. Maximum file size is 150 MB. Free and anonymous file hosting is also provided. Files are kept for 120 days and will then be deleted. You can even upload uncompressed documents and have media-convert compress it for you with the tool of your choice, e.g. ZIP, RAR, LZH etc. There are tons of other sites out there that do this. Some even offer code or widgets for other webmasters and bloggers to add to their sites that they can offer video downloads from popular video sharing web sites. You can also download a PC based tool here, which does the same like the online tool, but on your own computer. You might want to do that for the future, in case you need to download another video one day or if download videos frequently. As their online counterpart, these downloader tools are limited regarding the video sharing web sites they support to download videos from. The desktop tool saves automatically the downloaded video with a random file name on your windows desktop. You can move it via windows explorer somewhere else or use it from right there with MS Power Point or any other application that you are using for your school presentation. Vixy.net also offers a downloader for Windows PC and MAC OS for free download from their web site. 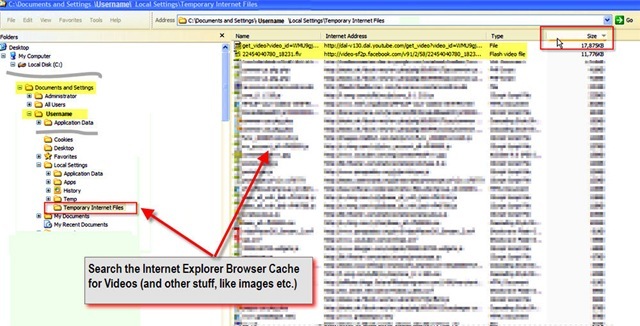 Some commercial converters come with video downloader plug-ins for IE and/or FireFox as a bonus, such as the “Sothink Web Video Downloader for FireFox” or “Moyea Flash Downloader Plug-In for Internet Explorer”. ?? If you want to get videos downloaded to your local hard drive that are beyond the ability of the regular download scripts and desktop tools, I recommend to use some more serious tools, such as stream rippers/downloaders. With them is it even possible to download a video where you do not know the URL to the video, because the video is streamed from a different specialized video streaming server and the web site where you watch the video does not actually host physical video files and only relays a real-time video stream to the user at the time of the request. In that case, nothing is even stored in you local browser cache. For example video sharing sites like Ustream.tv use this method. The best and really working stream rippers are not available for free, except for a few days trial period where you can test the software before you have to decide, if you want to buy it or not. A kind of “in between” solution is the use of special browser plug-ins and user scripts, if your web browser supports one or the other. Mozilla FireFox users have probably the most options and choices available to them, but there are also some solutions for Microsoft Internet Explorer. FireFox has a plug-in called Grease Monkey Script for Mozilla FireFox. 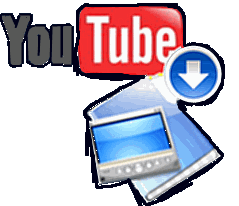 This Plug-in allows the execution of custom User Scripts, which are plenty available for all kinds of purposes, including downloading of videos from video sharing web sites like YouTube. You can find those scripts at UserScripts.org. 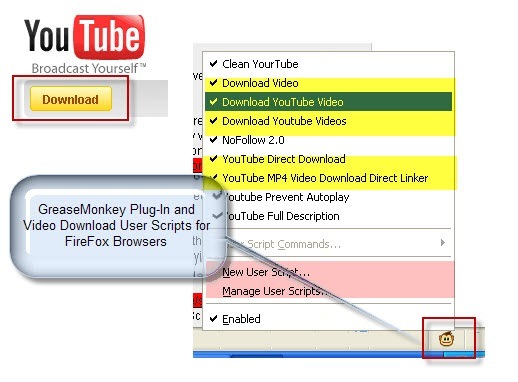 Here is the link that performs a search for YouTube Video Downloader scripts. Here is a screen shot that shows the FireFox browser with installed Grease Monkey plug-in and some downloader scripts running, while I was accessing a video page at YouTube.com. I am not a fan of Real Player, because of all the unwanted ballast that they try to force down your throat, but once you declined all the unnecessary junk, one feature of the current version of the player comes in very handy for Microsoft Internet Explorer users. Real Player installs a browser plug-in that detects videos in web pages, not only YouTube, pretty much any page that has a video embedded, Macromedia (Adobe) Flash, Apple QuickTime, Windows Media etc. See the screen shot below that shows the Real Player plug-in in action. Straight forward and simple to use. The video format depends?? on the source video on the web site. It is most of the time Flash, so you still have the problem of possible conversion, if you want to use the video for something else than just viewing. The old fashioned and most painful way… but most of the time working also. I demonstrate how it works with Internet Explorer. It’s also possible with Google Chrome. I don’t know if it is that simple with Mozilla Firefox and I didn’t try it with other browsers like Apple’s Safari browser or Opera. The following steps only work for Windows XP users with Microsoft Internet Explorer. Locate your user directory under the “Documents and Settings” directory on your local hard disk.?? The default location is usually C:\Documents and Settings\USERNAME. USERNAME could be just your Windows login user name?? plus maybe followed by “.” and either the computer name or the domain name, if you are part of a business network. Every user has a directory called “Local Settings” under its user directory, but the video file for the video file that you just watched is only cached under your own user.???? Select the “Local Settings” folder and then the folder “Temporary Internet Files” below that. Note: In order to be able to ???see??? those folders in Windows Explorer, you must have enabled the option ?? ?Show hidden files and folders??? under ?? ?Tools\Folder Options?? ?, ???View??? Tab and Node: ?? ?Files and Folders????? in Windows Explorer (thanks to the person who pointed that out to me in the blog comments). You can only find the?? cached video file in this directory, if the browser downloaded it entirely. Watch the whole video on the web site first, if you want to make sure that the browser had the chance to cache the whole thing. Web video players usually indicate via a separate progress bar, who much of the video they have cached, next to the play progress bar. A regular windows file name does not allow characters like “?” in the name. For that reason does Windows Explorer use only the part before the ? as the file name in the target directory. “get_video“, then it usually adds “” to it, but no file extension. Press F2 to rename the file and enter at the end of the new name .FLV as the file extension. Note for Microsoft Vista users: The ?? ?Temporary Internet Files??? folder is not as easy accessible as under Windows XP, even if you have ???Administrator??? rights and the Windows Explorer option ?? ?Show hidden files and folders??? enabled. If you know the user name that you were using to login to MS Vista, go to the Address Bar in Windows Explorer, right click on it and select ?? ?Edit Address???. Enter as address the following: “C:\Users\USERNAME\AppData\Local\Microsoft\Windows\Temporary Internet Files“, where you must replace USERNAME, with the actual user name that you are logged into MS Vista with. If you need a good video converter for Flash Video to something else, I recommend Moyea FLV to Video converter, which delivers the best conversion results that I have seen so far. You can try it for free, before you have to decide, if you are going to buy a license for it or not. Another good converter, which is also a little bit more versatile than the Moyea one is the MP4 Converter by 4Media. The name MP4 Converter is a bit misleading, because the tool can handle a lot more than just videos in MP4 format. You can download the free trial version of the tool here. That’s it! Happy Video Downloading! It should Michael.. it provides the various options and covers the whole range from occasional downloading to video addiction. Since I fall into the latter category, I am using the stream rippers (Jaksta and WM Recorder) in combination with converters. Jaksta has a converter build in, which is nice, but there are converters that are doing a better job and are faster. I also use the Realplayer plug-in and Greasemonkey scripts with FireFox. Those come in handy to download the MP4 version of the video at YouTube, if you call the Video detail page with the additional URL parameter &fmt=18 hehe. You could also use videokeeper.net to download either the mp4 OR the flv file + it can download from other video sites as well. The bookmarklet makes it dead-easy to use as well! It Should Be Mentioned That In Order To Get To Your Temporary Internet Files With Your Way Of Doing It,You Must First Enable The Viewing Of Hidden Files And Folders First,In Order To See The Temporary Internet Folder. Previous Post: Star Trek, The Experience is Gone!